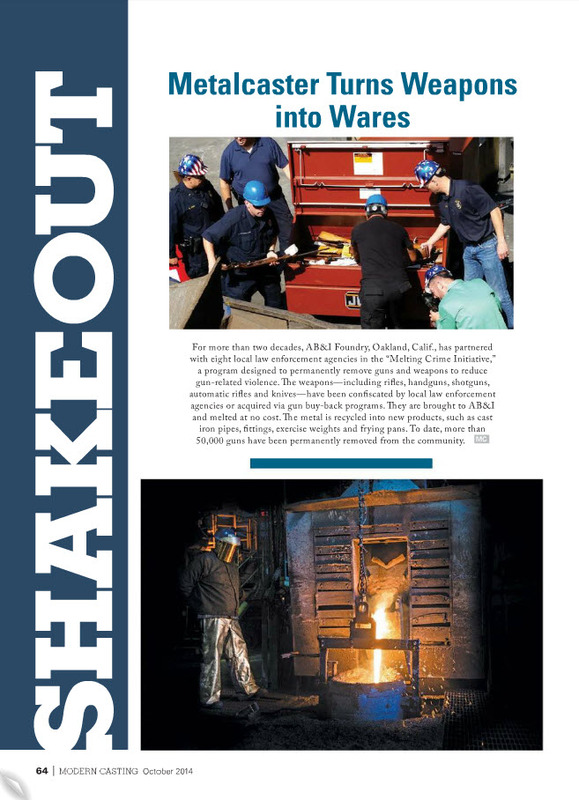 AB&I Featured in October Issue of Modern Casting Magazine | McWane, Inc.
← Synapse on Jimmy Kimmel Live! Posted on October 22, 2014, in Achievements and tagged "Melting Crime Initiative", AB&I, McWane, Modern Casting Magazine. Bookmark the permalink. Comments Off on AB&I Featured in October Issue of Modern Casting Magazine.